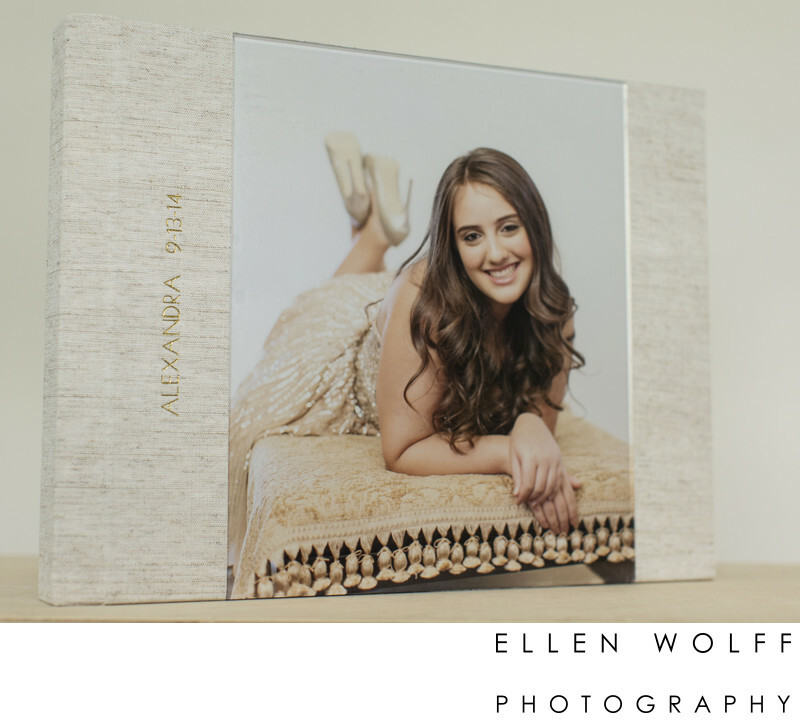 This gorgeous bat mitzvah album is covered in "counstryside" linen and features a large lucite panel with a photo print underneath. This portrait was taken several weeks prior to the actual bat mitzvah during a relaxed photo session at home. Using portable professional studio lighting and backdrops I am able to set-up anywhere and get a professional photo studio look. Keywords: bat motzvah album (3).